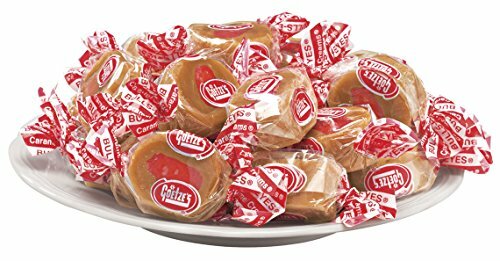 Apple Caramel Creams, 11 oz. These caramel apple creams are a rich, velvety fall treat that's sure to bring out the kid in everyone Caramel apple candy tastes and smells just like the classic favorite but are much easier to eat. The outside of this apple candy is soft, chewy caramel that melts in your mouth. Inside is a tart center that tastes just like a granny smith apple. 11 oz. Made in USA. If you have any questions about this product by Fox Valley Traders, contact us by completing and submitting the form below. If you are looking for a specif part number, please include it with your message.